Happy Place is one of those places that brands itself as inherently cheerful, with whimsy in every direction, including an upside down bedroom. Or a room walled by cheek-to-cheek rubber duckies complete with a yellow bathtub full of bright yellow plastic balls. There's even a confetti dome. Whatever floats your boat, man. 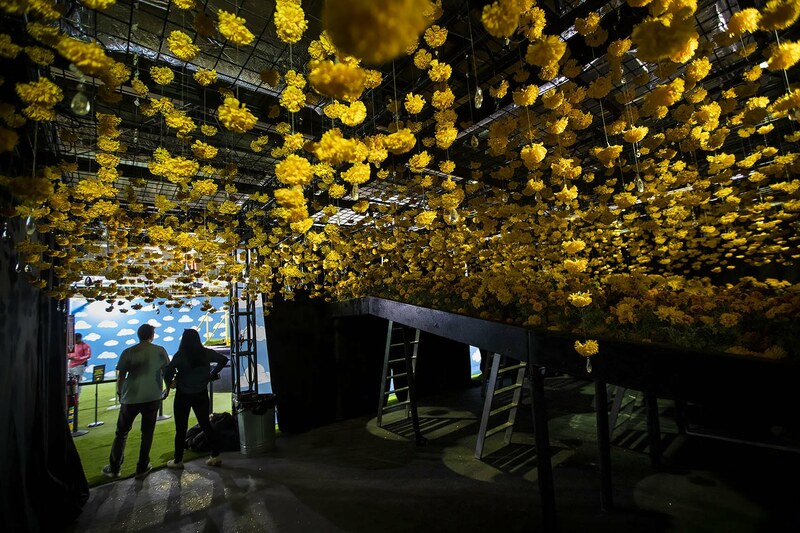 The exhibit — a “massive pop-up experience,” as it bills itself — is a series of themed rooms that takes the audience on a trip through a trip that is specifically designed for social media. The setups in the rooms, the colors and the bright lights all make the perfect photo to show off on Instagram or Facebook. 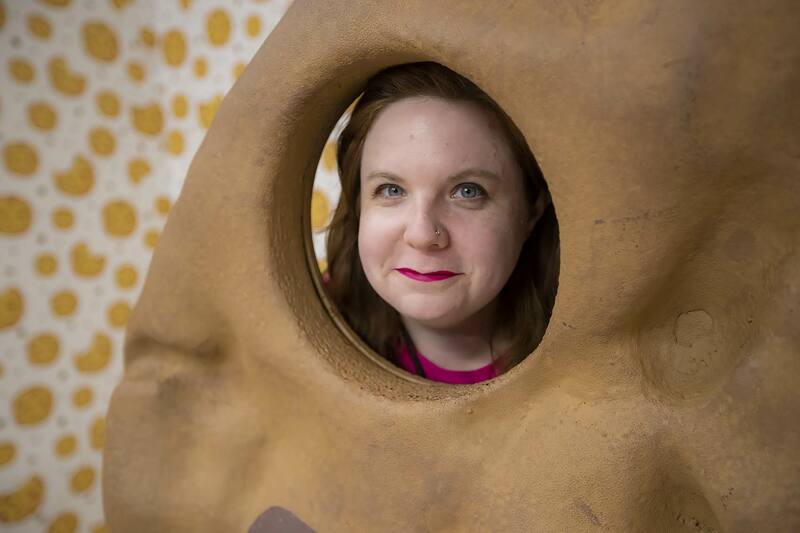 When I walked in on Thursday afternoon for a social media influencer event, as I was handed some white and yellow M&Ms emblazoned with little happy faces, the first thing I saw was a pair of high heels suitable for a giant — made entirely of candy. This, I was told, was the “candy room.” “You Got It (The Right Stuff)” by the New Kids on the Block played in the background. Each room has a theme, with perfect “Instagrammable” spots. I’m as guilty as anybody of the tropes on Instagram (yes, I have stood on a stool to take a picture of my food) and it was like these rooms were created in a lab specifically for Instagram. That's because they were. Happy Place, indeed, bills itself as "the most Instagrammable pop-up in America." There’s a spot with hundreds of flowers and some dim mood lighting to get that “in nature” feel. Or if you like feeling goofy, there’s a bedroom with the furniture on the ceiling so you can make it look like you’re Spiderman. My selfie skills are often questionable, but it’s easy to feel like your selfie pops when the background is hundreds of tiny mirrors and the lighting is just right. The small crowd there was mostly young women in their 20s and 30s. The people I talked to were some kind of social media influencers, which is a rather vague term for what’s now an increasingly popular industry. Influencers are often young women (though there are plenty of male influencers, too); they live their lives on social media and get paid for doing so by advertisers. J.Crew might send them a sweater, and they’ll post on Instagram with a code for their followers to get a discount on that sweater. Or Sephora will send them a new makeup palette to try out, and they’ll give away three of them to whomever hits “like” on their post. Influencers might have a specialty, like makeup or fashion, or kids, but they all have a few things in common: they have thousands of followers on Instagram; they take great pictures; and they love places like Happy Place. “It’s good lighting and is a great space to get good content,” said Sarah Russo, a 34-year-old licensed pharmacist who lives on the South Shore. She was there with her quasi-assistant Caroline Gray, 21, and said she hopes exhibits like this will encourage more people to come to Boston. Gray dutifully took pictures of Russo as she posed in the yellow bathtub, grinning and kicking up her leg playfully. The yellow bathtub and yellow rubber ducky background contrasted nicely with Russo’s all-black outfit and bright white ankle boots, her white teeth gleaming while her long blonde hair fell artfully on her shoulders. “I’ll have content for days,” Russo said. She posts at @drsarah101, where she has more than 40,000 followers, and she also covers country music for Dirty Water News. I made my way toward the end of the exhibit and was greeted by a booth with Happy Place-themed Dunkin’ Donuts and an offer for a blueberry crisp iced latte, which I accepted. While I sipped the tooth-achingly sweet latte, I sat and thought about what I had just seen. It felt easy to be cynical about it. Up close, the bright lights feel harsh. The colors are garish; the “grass” is astroturf. The walls don’t go all the way up to the ceiling and there’s a harsh juxtaposition between the colorful backdrops and the gray, dingy reality of an industrial space. The cookie room smells almost, but not quite, entirely unlike cookies. Plus, I hate being told to be happy, like it’s a switch you can just turn off and on. But people there were having fun. They were laughing at themselves. Nobody looks dignified coming out of a bathtub full of rubber balls, but everyone giggled at themselves as they struggled to get out. When was the last time you got to jump into a ball pit as an adult? With the Pot of Happiness, you can. 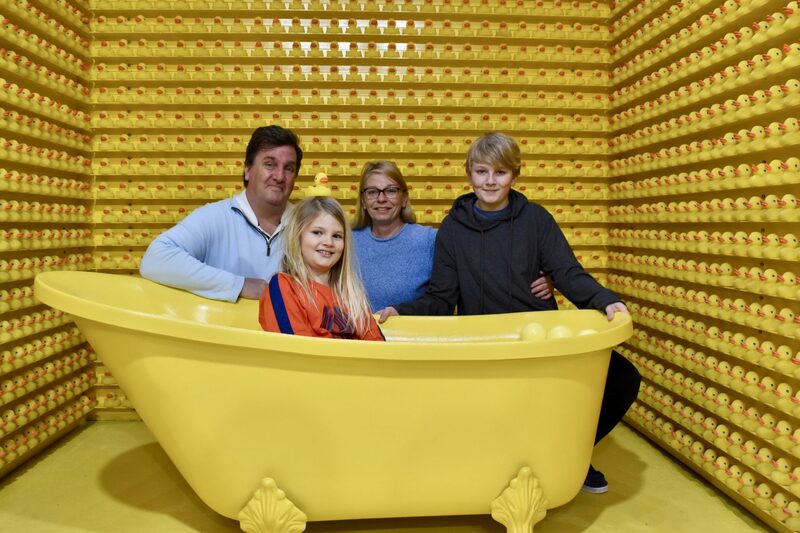 Back at the yellow bathtub, before I made my way to the end, I had been chatting with the O’Connor family — parents Bill and Kelly, and kids Bill, 11, and Anne, 7. 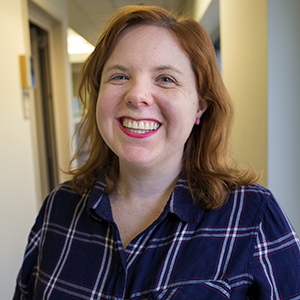 They run a blog called North Shore Kid, which is a website for families on the North Shore and Greater Boston to find things to do with their kids. “How can you not smile when someone gives you M&Ms when you walk in the door?” said dad Bill. Anne giggled as she climbed into the bathtub while the family gathered behind her to take a family photo. She impishly put a rubber ducky on her head and smiled. “I thought it would be weird,” but she ended up liking it, she said. 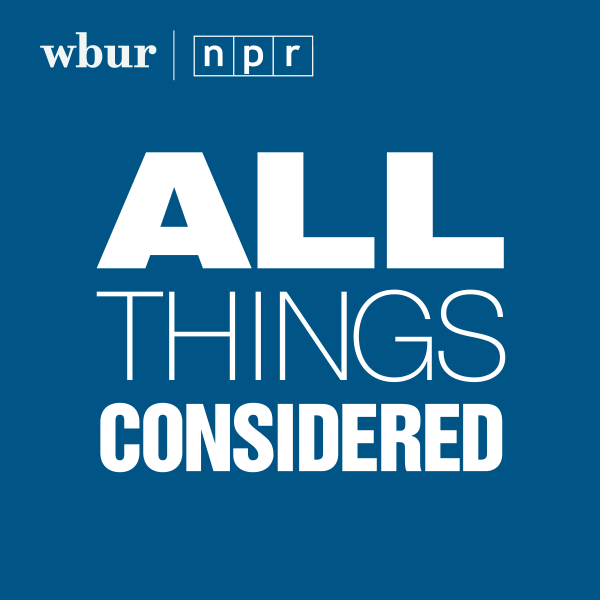 I run WBUR’s social media and I know how harmful the pressures around posting can be — how it can make you feel like you’re not good enough. Everyone else is always having a better time than you. Everyone else is fitter, skinnier, a cooler parent, a smarter hustler. They have a nicer house than you. They all vacation better. What I saw at Happy Place was people just having fun. Yes, it’s artificial. Yes, it’s not really fun but “fun.” Calling it "art" is a stretch. It’s not profound, and it doesn’t really make you think about anything except how good your pictures are going to look. But who cares? I’m not going to knock someone else’s good time. You do you. Art critics often look down on these spaces, labeling them as vapid manifestations of the woes of our current culture that's more obsessed with the appearance of a good time than the good time itself. Aside from not judging an art form on its own terms, this kind of condescension is often directed at young women who engage with social media in ways that baffles older generations. I'm not an art critic, but I am a woman in this society who uses social media, both personally and professionally. I know the sneering when I see it. How expected and tiresome to label something that mostly attracts young women as vacuous and emblematic of the ills of the world. These women are having fun. Let them be. I’m certainly not going to participate in the usual shaming that many young women face on social media — that they’re shallow, or unserious. They’re out there hustling, making money, wearing uncomfortable shoes and having fun. What’s not happy about that? Happy Place is located at 500 Boylston St. and is open from April 5-June 2, 2019. Get tickets at www.happyplace.me. Tickets are $35 for adults; $20 for kids ages 4-12. Kids under 3 are free and kids under 16 must be accompanied by an adult.